Bees are found in almost all parts of the world except near the poles. They are among the most useful of all the insects. 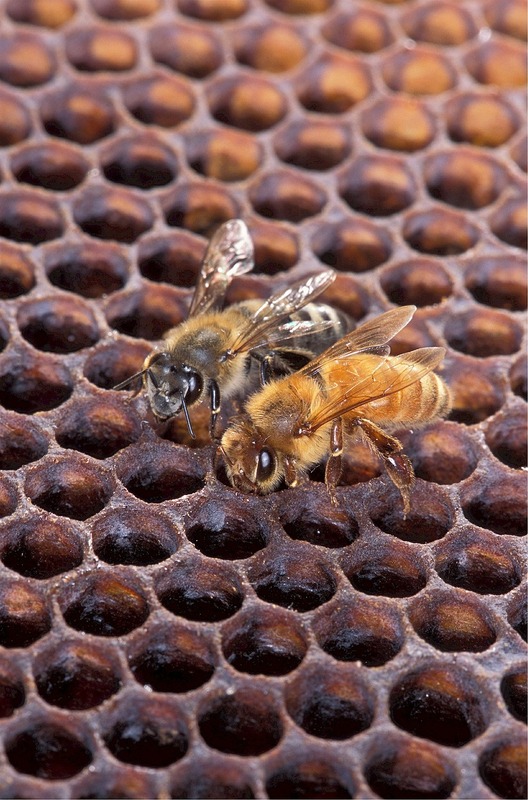 They produce honey which has a high food value and beeswax that is mainly used in adhesives, cosmetics and candles. There are nearly twenty thousand types of bees, however, only one type known as honey bees produce honey and wax in large enough quantities for use by people. Africanized bees on honey comb. Actually, there is not much difference between Africanized bees and the regular honey bees, though honey bees are slightly larger than Africanized bees. The main difference between the two is that, Africanized bees make their nests just anywhere, even in areas where humans live and these bees are more defensive by nature than regular honey bees. 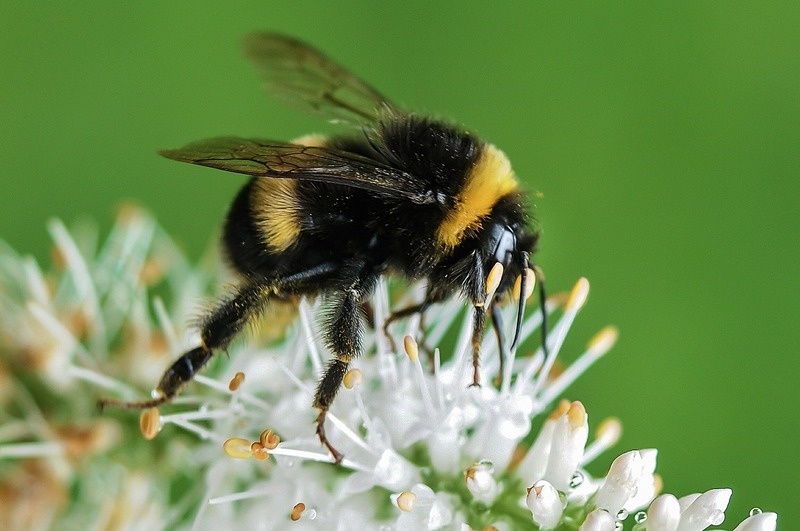 Bumble bees mostly live in colonies of fifty to several hundreds of bees. Their honey smells very pleasant, though they make only small amounts. 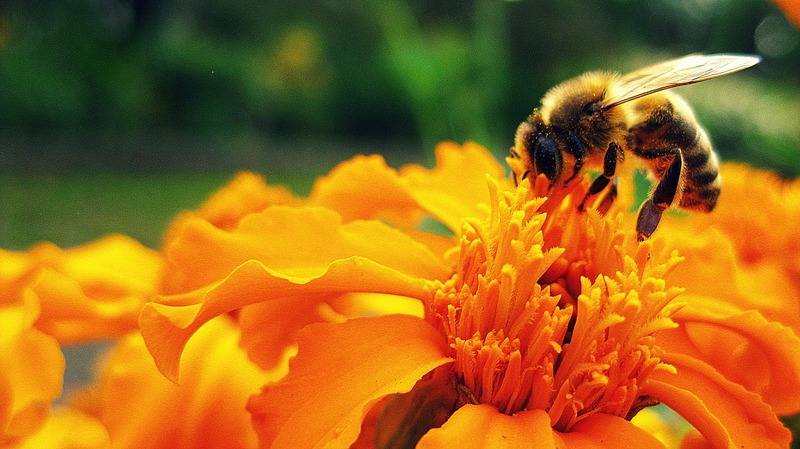 Honey bee on an orange flower. A typical honey bee colony consists of a queen bee, thousands of worker bees and few hundred drones. Honey bees live in hives. The hive is in fact a storage area, such as a hollow tree or a box that contains a honeycomb. This honey comb is employed to raise young bees and to store food. 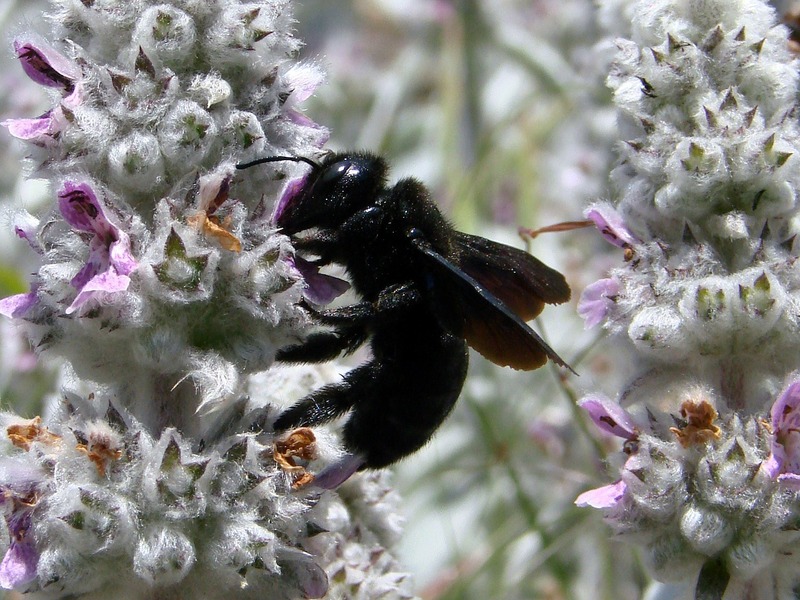 Carpenter bees make their nests in dead twigs or branches. The female bee digs a tunnel, puts pollen and nectar at the bottom and lays an egg. The tunnel has series of cells and each cell contains food and one egg. Since almost all types of bees are known to make their homes or nests just about anywhere, you will not be able to prevent bees from making a nest in your house or property. They find smallest of empty spaces to make a hive which gradually become bigger and bigger. Their hives can expand into other places of your area. Now, if you are wondering how to get rid of bees, it is not really impossible to remove bees by yourself, but it is not really easy either. It is always advisable to get the help of a bee removal expert to ensure your area is fully rid of the bees once for all. Some jobs are best left to the professionals, who have the right knowledge and years of expertise to handle your problem. 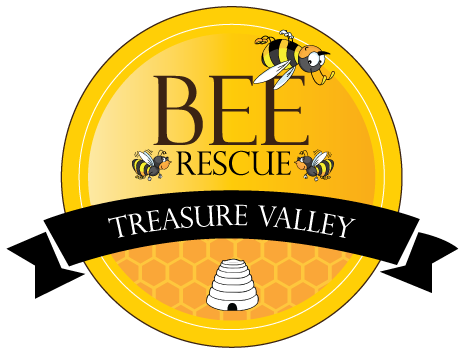 The moment you encounter a similar problem in your property and do not know how to get rid of bees, please make sure to call Treasure Valley Bee Rescue at (208) 602-4881. We will analyze the situation and do a thorough job of removing the bees or wasps from your property, to your utmost satisfaction.